Spring is finally here, which means that Easter is just around the corner! And if you have kids, they’re probably looking forward to getting a bountiful basket of goodies and of course, going to an egg hunt. Many parents take their children to their local Easter egg hunt, where they’ll join hundreds of other families in a park and search for colorful eggs. As charming as it appears in pictures, real-life egg hunts are a chaotic mess. Instead of tiny tykes traipsing across a lawn gathering eggs, you have obsessively competitive parents thundering about, as described in this article on a failed egg hunt. Because of this, I’ve never taken my children to a public egg hunt. Instead, we hold our own egg hunts—and you can too! It’s fairly easy to set up. All you need is a small, grassy area with hopefully some good hiding spots for your eggs (your backyard or a corner of a park), and some supplies. If you like, invite another family or two to participate to join the fun. 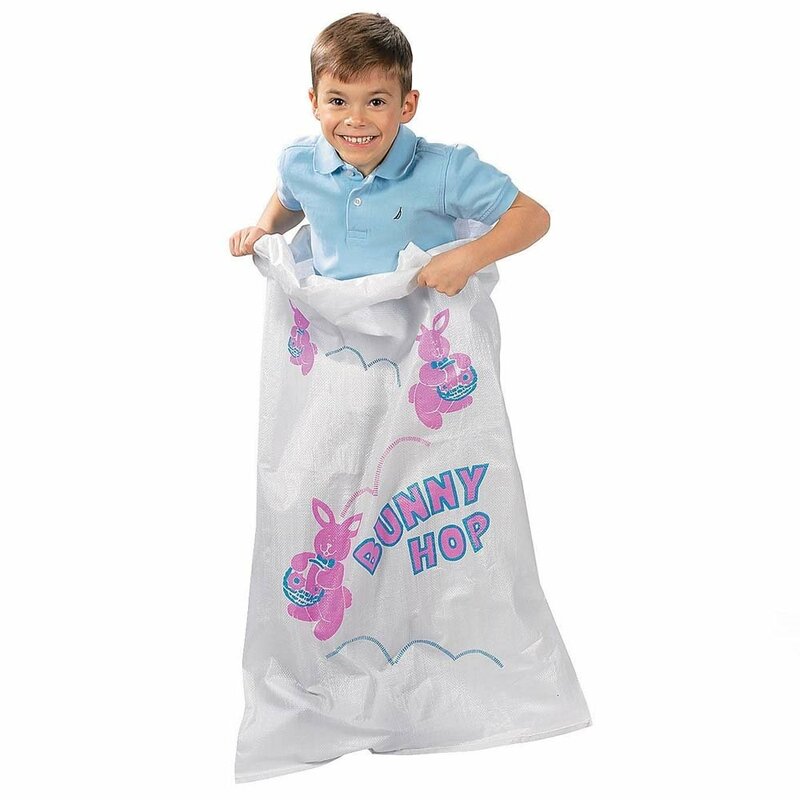 Although your kids will have little to no competition in your private hunt, they’ll still need a sturdy egg-collecting bag. 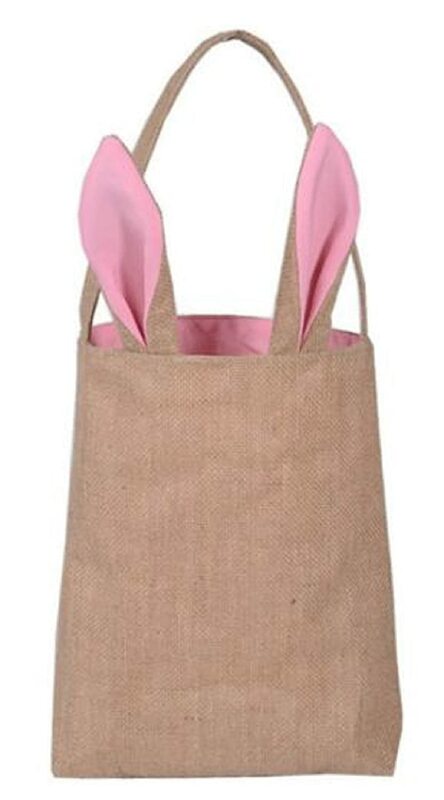 This adorable bag is made of jute burlap, strong enough to hold all your little one’s goodies. And who can resist those cute bunny ears peeking out? As much as I love making my kids happy, I don’t relish sitting at my dining table for an hour stuffing candy and stickers in a bunch of eggs. 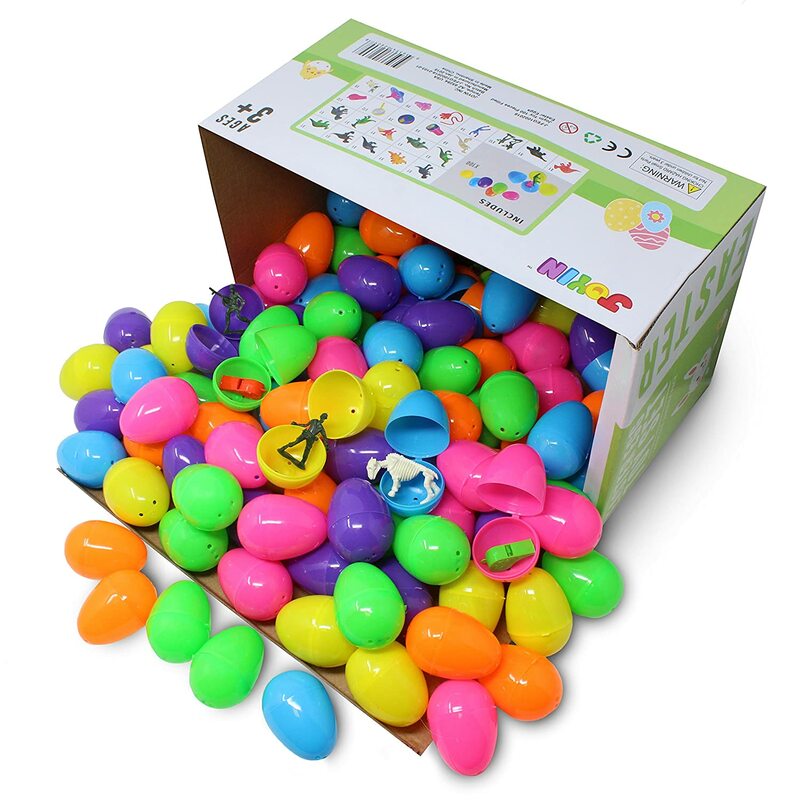 These are a godsend to busy parents everywhere who don’t have time to fill a bunch of plastic eggs. Since they only contain toys, they’re also ideal for kids with food allergies. These fancy-looking eggs would appeal to both children and adults! Consider putting extra special treasures inside for your little ones. Imagine the looks on their faces when they spot something gleaming in the bushes. As for adults, you can stick party favors in them for spring- or Easter-themed wedding receptions. If you’re inviting more children, you’ll need some additional baskets. This set is a deal, because you get six baskets AND three bags of fake grass for less than $15. These are perfect for small hands to hold and to store their eggs. If you have room for it and the kids are old enough, a good old-fashioned potato sack race is a fun addition to an Easter egg hunt. These giant sacks are strong and will hold up well jumping on damp grass. And of course, it’s much cuter than your standard burlap bag. To be fair, these signs aren’t very big and are primarily for decorative purposes, rather than to provide actual directions. However, they are still very cute and will liven up your personal egg hunt. You can line a walkway with these signs towards the hunting grounds, or use them to mark off boundaries indicating where the children should and shouldn’t go. With a little effort and the few things on this list, you can host your own Easter egg hunt. Why bother waiting in line with hundreds of other impatient families, only to have your child return home disappointed with only a few, or even no eggs? Why risk your child being trampled on by an overzealous parent “helping” their children? I don’t think it’s worth it especially since you can easily do it yourself. 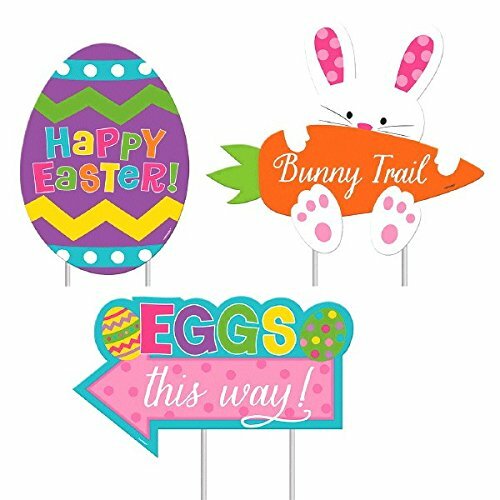 Keep in mind that these ideas are just the tip of the iceberg – you can make your egg hunt as simple or as elaborate as you wish for your children, and take their ages into consideration. Oh and if you have yet to figure out a few appetizers, we can help with that too! Here is one of our favorites!